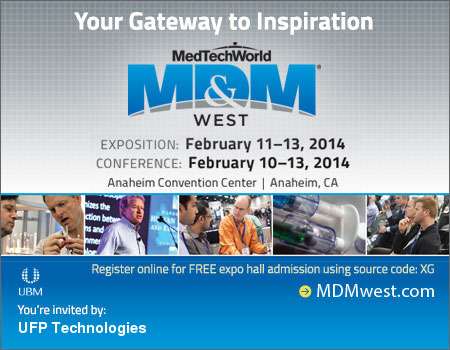 January 30, 2014 – Rancho Dominguez/Costa Mesa, CA - UFP Technologies, a producer of custom-engineered components, products, and specialty packaging, will be exhibiting at MD&M West 2014 (Medical Design & Manufacturing West) from February 11-13, 2014 in Anaheim, CA. We will be located at booth 2463. These medical solutions are fabricated throughout UFP Technologies' ISO 13485:2003 certified manufacturing facilities, many of which include ISO Class 7 (Class 10,000) and ISO Class 8 (Class 100,000) clean room operations. What is Medical Grade Foam? UFP Technologies is a producer of innovative custom-engineered components, products, and specialty packaging. 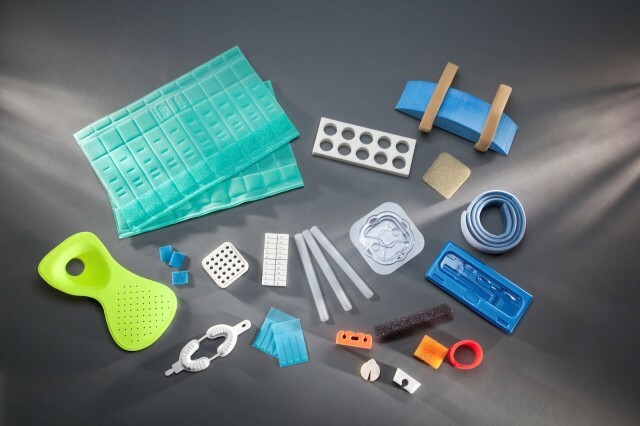 Using foams, plastics, composites, and natural fiber materials, we design and manufacture a vast range of solutions primarily for the medical, automotive, aerospace & defense, and packaging markets. Our team acts as an extension of customers' in-house research, engineering and manufacturing groups, working closely with them to solve their most complex product and packaging challenges. For our customers, innovation takes many shapes. But each solution is shaped by a level of design, materials and process expertise that is unique to UFP Technologies.